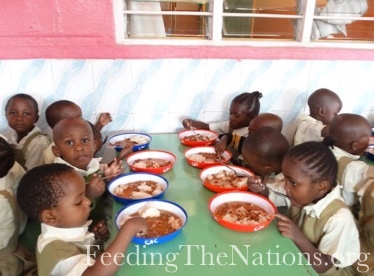 The children of Star of Hope Kenya send their deepest gratitude to Feeding the Nation, donors and well-wishers for supporting a balanced diet for their healthy growth and development throughout their time in school. 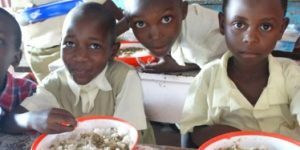 You have continued to make it possible for these children to actively participate in school activities after taking the 10 o’clock porridge and the 12 noon lunch. This has made their afternoon nap a comfortable one and the afternoon lessons lively. Because of you, our children have a healthy smile. 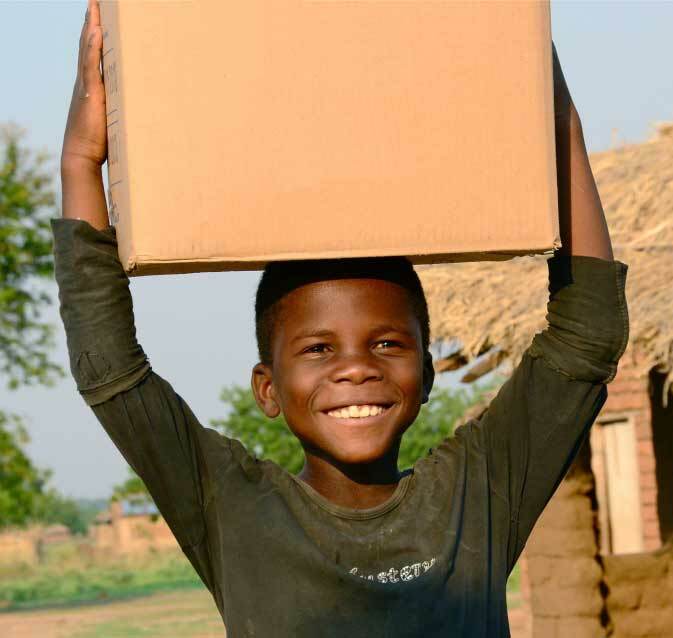 Join us in bringing more healthy smiles to children around the world. 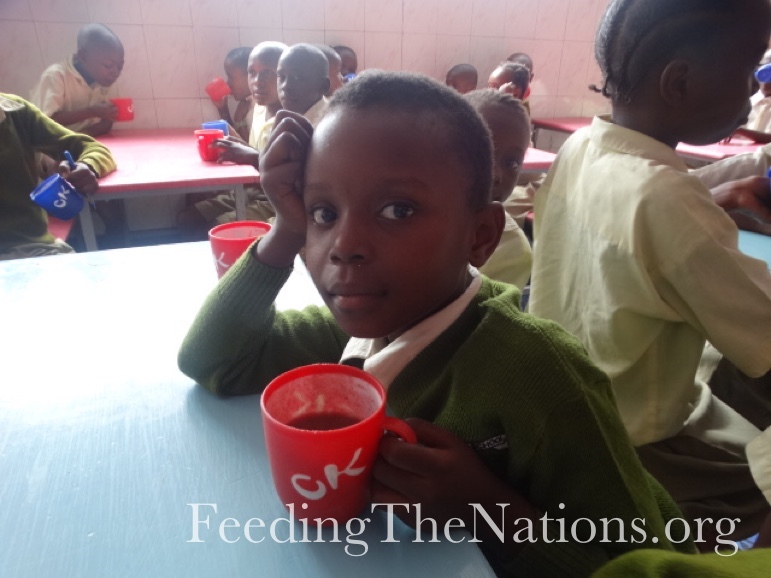 Every day, we feed over 1,000 children in a slum school and a remote village of Kenya. 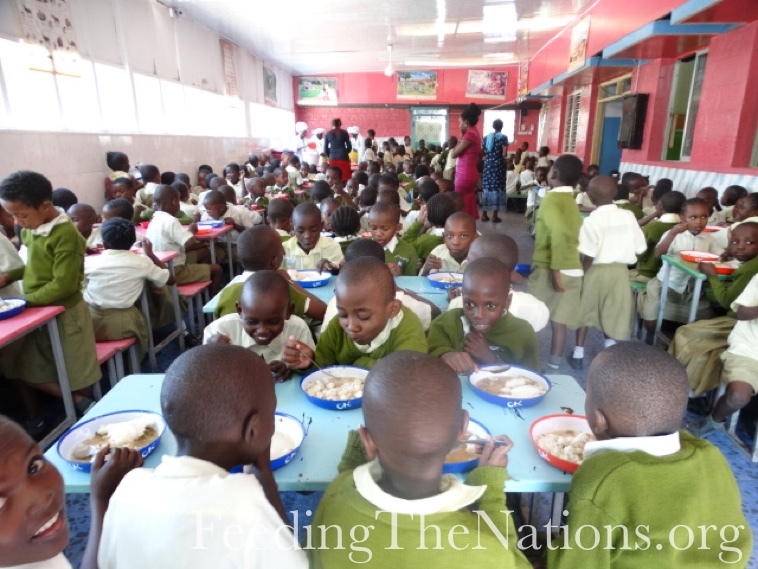 Thanks to our Finland office, we have maintained this program to serve Mikindani Nursery, Jimba Primary and Living Word Primary Schools, so that 1,022 students not only receive important nutrition, but have the opportunity to attend school, play with friends and remain healthy. In addition to the food, we also gave four goats to help grow their sustainable farm program—a program that is growing on its own thanks to the birth of nine piglets! 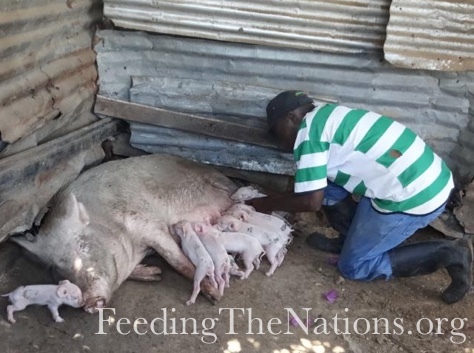 The farm now has eight goats, four cattle, eight pigs and nine piglets. 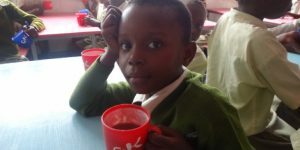 “The children and staff at Star of Hope Kenya would like to thank FTN Finland for your generous contribution towards our sustainability projects,” the report continued. 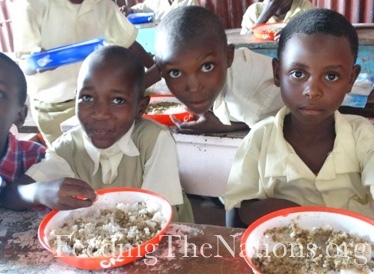 “Now they are multiplying at our farm in Mikindani which means our children will benefit even more from this project. Thank you to all who joined with us to make this feeding program and donation of farm animals possible. When we work together, we can bless even more children with healthy smiles. Please donate today. 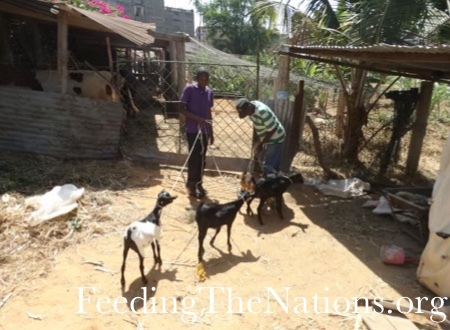 The Feeding The Nations Finland office has been working with missionaries in Kenya to provide food and medicine for the Oasis Medical Centre near Mombasa in Mtwapa. 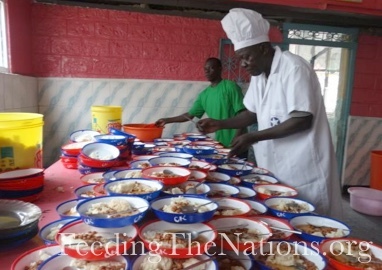 In December, they distributed food to the village of Gede on the Kenyan coast where hunger is rampant. They started a church there 8 years ago. At that time, hardly anyone had heard about Jesus. Now the church is full of children and young adults who believe in Jesus! A new generation of Christians is growing there. We thank God for this opportunity to reach the Kenyan coast with food and the hope of Christ. We also thank our missionaries on the ground and those of you who have partnered with us to make this possible. Together, we are doing Kingdom work! Help us provide more food, medicine and the Gospel for those in need. Click the button below to join with us. 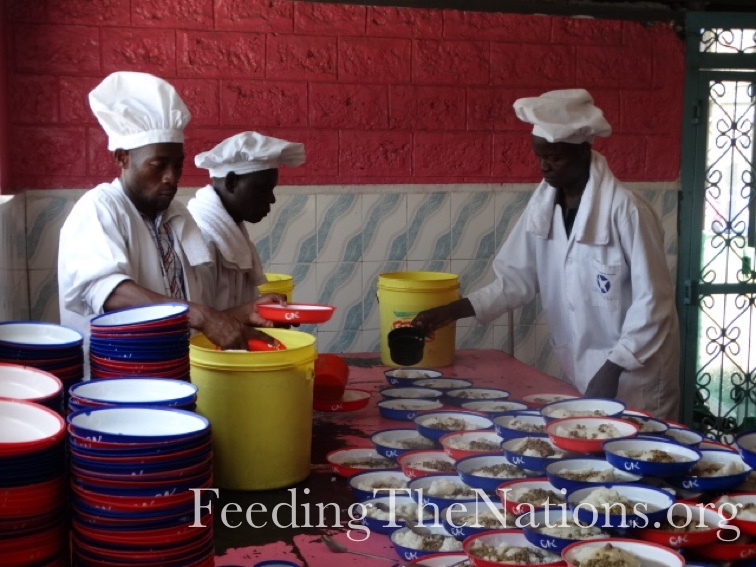 Feeding The Nations is once again partnering with Mission Outreach to bless the Riley Mother Baby Hospital in Eldoret with over 700 pounds of much needed Vitamin A. This hospital is also connected with 18 clinics located in rural areas of Kenya where the vitamins have been distributed. The new Mother and Baby hospital is is the first of its kind and accommodates up to 12,000 deliveries annually and has a 50 bed new born unit. 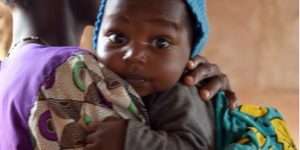 On November 17th Feeding The Nations teamed up with Mission Outreach once again to bless the Riley Mother and Baby Hospital and surrounding clinics in Eldoret with over 11,634,000 prenatal vitamins.